Acoustic screens are system solution for efficient acoustics management in a modern office working environment. There are two options of acoustics screens available: freestanding and desk screens fixed to the desktop. Screens in both options are fully upholstered. Acoustics screens system allows to easily arrange the space of the whole office. 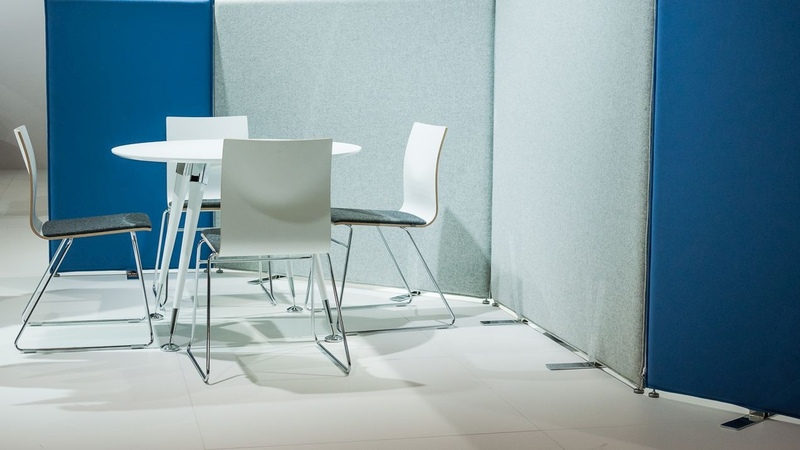 Freestanding screens are an ideal solution for separating workstations, building mobile meeting zones or separating quite zones from regular workstations. Desk screens visually divide workstations and ensure acoustic comfort at workstations. 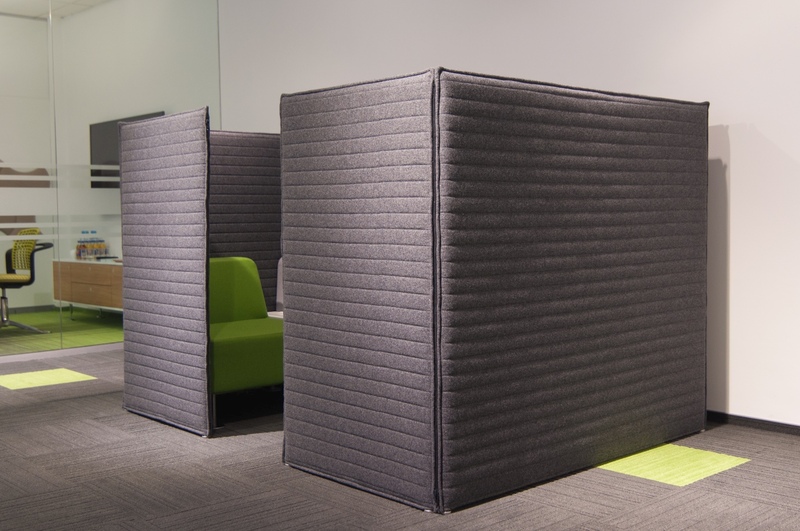 Free-standing acoustic screens system allows for a free office space arrangement. 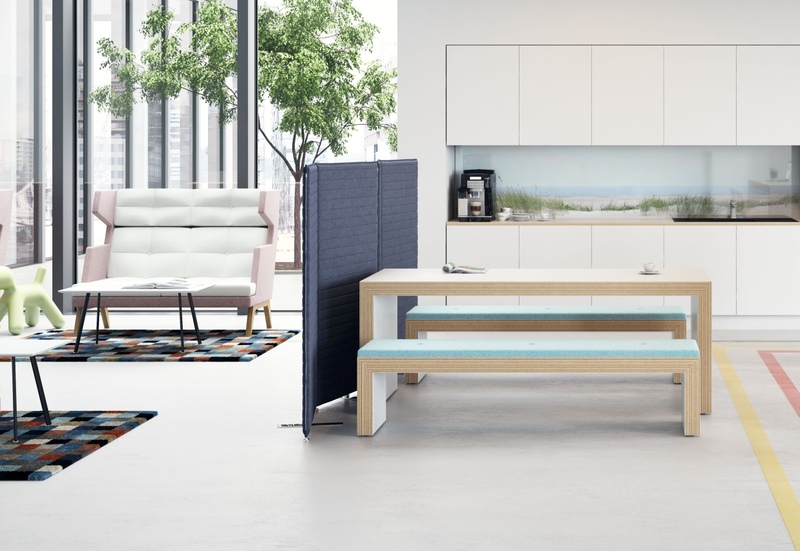 The free-standing screens can separate work space from common areas in the Open Space plan and isolate workstations that require focus or rest areas. The acoustic screens are designed to ensure best performance by isolating potential sound sources and absorbing sound waves with a special damping layer to achieve acoustic comfort for users. The Free-standing acoustic screens are also decorative elements which aesthetics is consistent with the whole FURNIKO product range. Screens system is based on fully upholstered modules 123 or 143 cm high. Construction and materials allow to use pins. 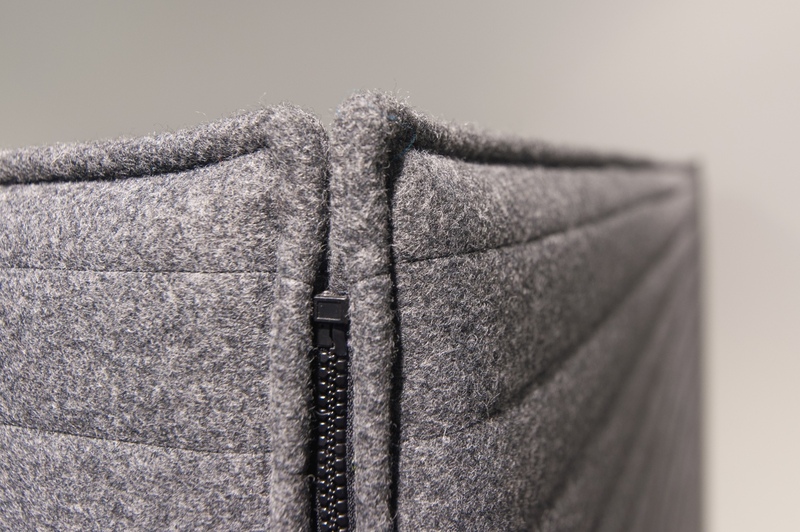 Each module of the screen is fitted with two level regulators and zippers: one male and one female which allows for quick and easy straight joining of the modules. For joining the screens in L shapes, T shapes or X shapes an extra zipper is required which is an optional accessory. 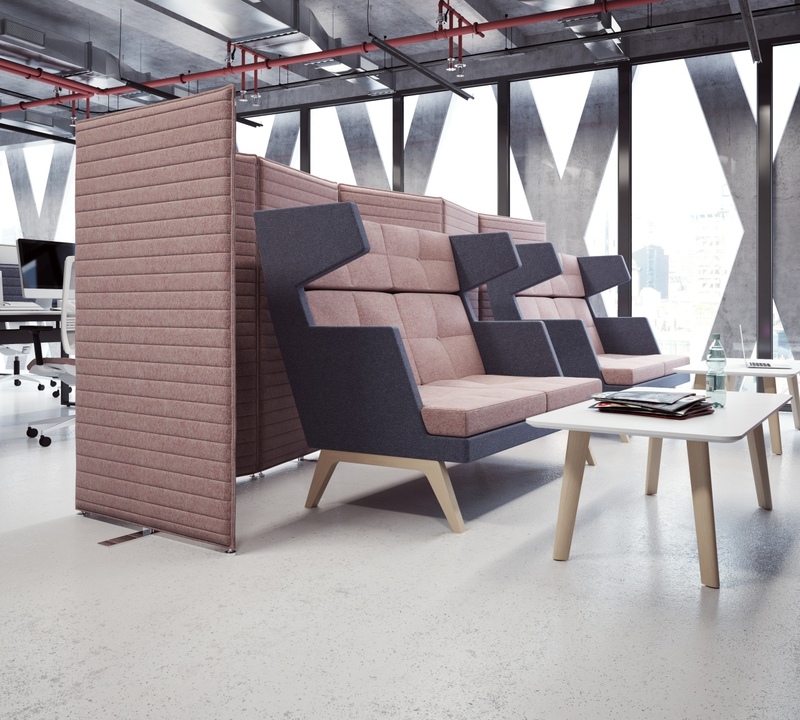 The acoustic screens can also stand as a separate module thanks to an optional stabilizing foot. The stabilizing foot is an optional accessory and it is available in two options: powder painted or chrome. Desk screens are fully upholstered. They minimize distraction at work place and allow employees to communicate freely at the same time. 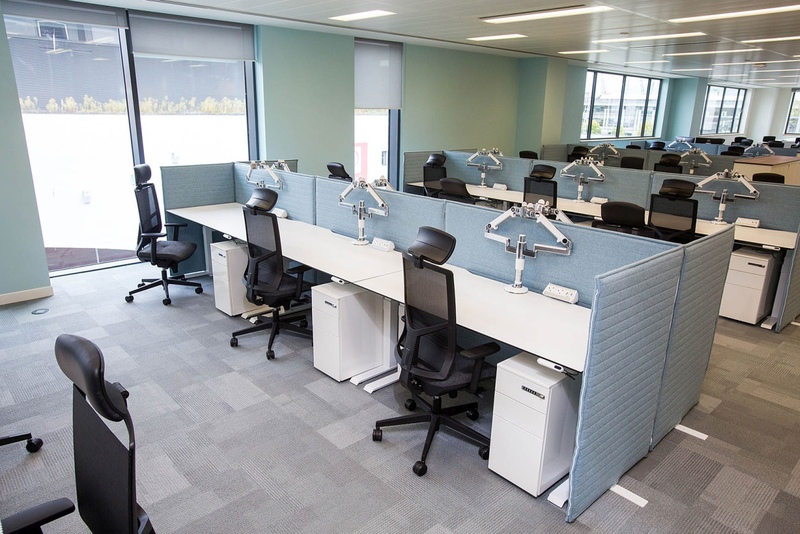 The system of desk screens is based on panels fitted to desk tops with metal powder painted fixes. Desk screens are available in two height options: 41,5 or 30 cm above desk top. 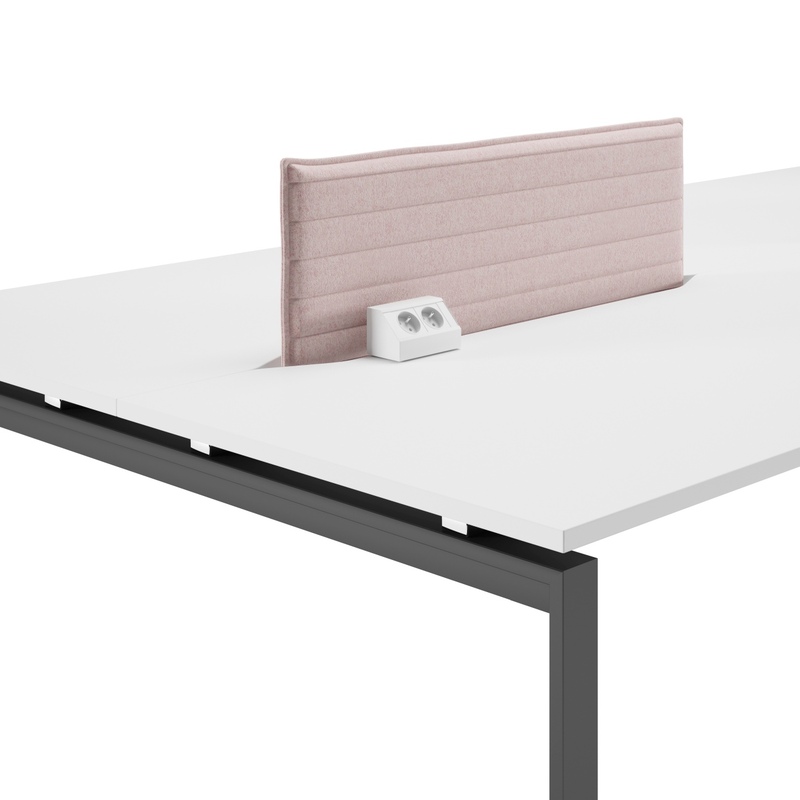 Height of 41,5 cm ensures acoustic comfort and separates the workstation visually. 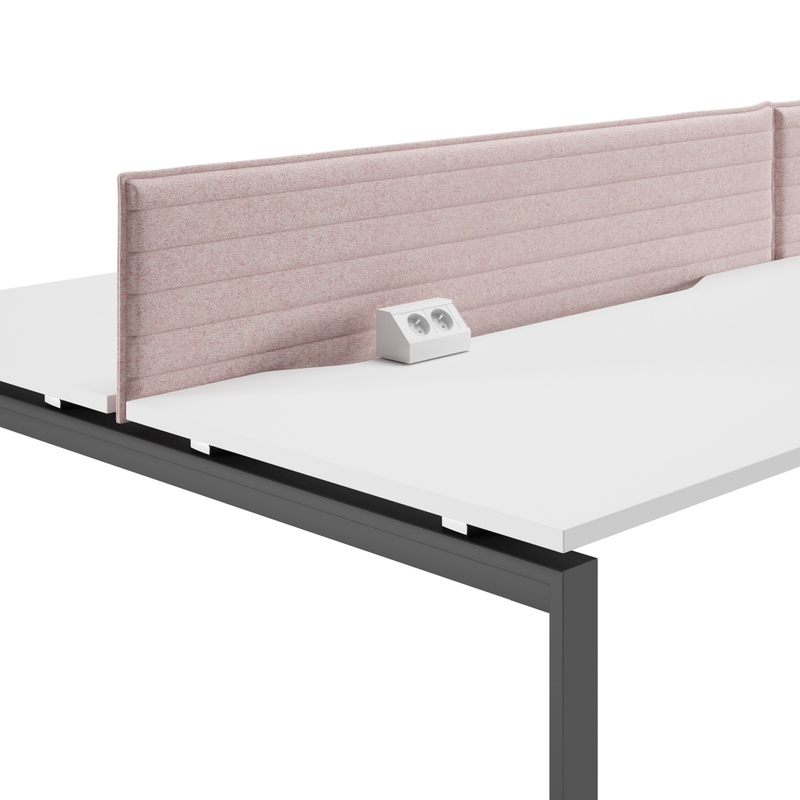 Height of 30 cm above the desk top separates the workstation visually and allows free communication at the same time. Construction and materials allow to pin objects to the desk screens. There are two types of fixes: for single tops and double tops.